Kendall Street Company is a six-piece rock band based out of Charlottesville, Virginia. 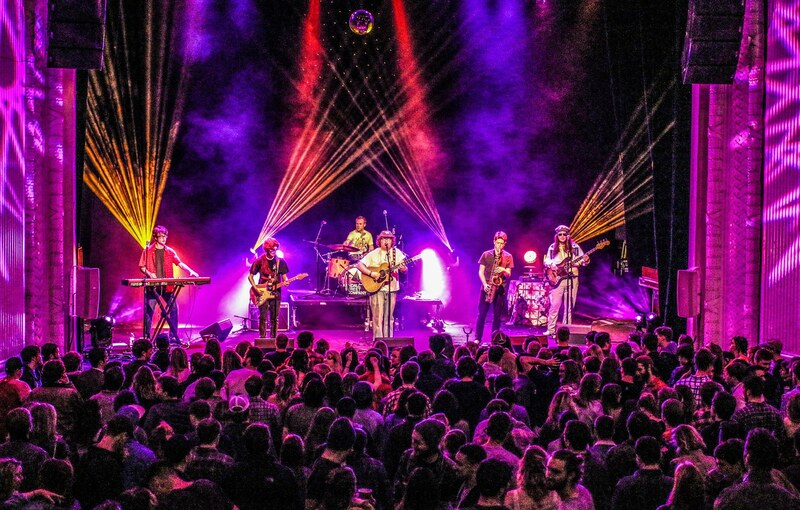 Known for their immensely energetic and unpredictable live performances, the band’s musical style incorporates elements of jam, folk, jazz, ska, funk, and psychedelic rock. Fusing genres, they embrace mind-altering riffs as well as soulful and jazzy wit, while remaining true to their folksy songwriting roots. The Company evokes an ever-changing kaleidoscope of sound, spinning out an organic repertoire entirely their own. The band maintains a central presence on the East Coast having performed over 100 shows in the past calendar year at venues from Fort Lauderdale to New York City. This includes dates at Lockn’ Music Festival (next to Umphrey’s Mcgee), Shadefest (Avenue, MD), The Shack Up (Richmond, VA), and a headlining slots at the Misty Mountain Music Festival and Jam Fish Music Festival. Their set at Lockn was described by Relix Magazine as “raising the crowd’s energy with frontman Louis Smith and guitarist Ben Laderberg’s acoustic/electric interplay and lively, technical breakdowns”.